This site is provided as is by the University of Michigan House Officers Association. Welcome to the University of Michigan House Officers Association housing website. We have created this website to help house officers buy, sell, or rent. The site is open to incoming, current, and past house officers. We are excited to open the site to the University faculty and staff, as well as to those landlords who are recommended by a current house officer tenant. For those who are not house officers, a donation to the HOA is required to list a property. Your generous donations help fund this website. Unable to log in with that username and password. Having trouble accessing your account? Try account recovery. You may access information from realtors and lenders without logging in. Members of the House Officers Association are entitled to all features of this website. In order to access these features you must verify your uniqname. From time to time, we may offer extra benefits to the wider Michigan Medicine or University of Michigan community, please verify your uniqname to take advantage of these offers when they occur. If you have matched at University of Michigan and will be starting your residency or fellowship in the future, you may qualify to use all features of this site, including the roommate finder.  Please select "I am in incoming house officer"
The University of Michigan House Officers Association (HOA) is the union the represents residents and fellows at the University of Michigan. The HOA negotiates your salary and benefits packages for residents and fellows, and provides many other benefits to our members. One of the benefits we offer is access to this website. The HOA Housing Website is a great place where you can look for a place to live or find a roommate. Things move quickly, so we recommend signing up as soon as possible. Unless you have some previous association with the University of Michigan, you will not have a UNIQNAME, please leave it blank. There was an error when trying to process your registration. Before you can log in, you will need to verify your email address. We sent instructions to . Please choose an email address to confirm your uniqname with. In some instances a @med.umich.edu might give you access to more features. We'd like to share with you some benefits of joining the House Officers Association and encourage you to join. Dues are only $200 for the entire year, with easy $20 paycheck deductions from September through June. Holiday pay if you work on one of 10 holidays, including your birthday! When you don't support the union that supports you, you're weakening the union's ability to bargain on your behalf. Search properties for sale and rent. Find fellow House Officers who are looking for roommates. List your rental properties, or house you are selling, for free. The HOA hosts multiple social events through out the year for members. Thank you for verifying your uniqname. To lock in available and future benefits, it is important to verify your uniqname while you still have access to your umich email address. Verifying with your @med.umich.edu address may offer a greater level of access. You have successfully confirmed your email address. You may now log in. We could not confirm your email. You have successfully confirmed your uniqname. We could not confirm your uniqname. Please check your inbox to complete your password reset. Token requests: Use the help button at the bottom of the page to request a token, include your username with your request. A donation to the HOA may be required if you are not a house officer. Before making a token request: If you have access to a umich email address, go to the account page and make sure your uniqname is present and verified. On occasion this may afford you additional benefits. House Officers Association Members: HOA members do not need a token to post a listing. If you are an HOA member and you cannot post, go to the account page and check to see your uniqname is present and verified. Please allow 5 minutes after you verify before trying again. There was a problem creating a new listing. Please fill in all required fields before publishing your listing. Leave all contact fields blank to use your account information. There was an error getting your listings. listed this property. If you are interested, they would like you to contact . You may upload 10 images at a time. If you have more than 10 images you will need to make multiple uploads. There is no limit on total number of images you can have. The roommate finder allows incoming and existing house officers to share their information with each other in hopes of finding a roommate while working at Michigan Medicine. You do not have access to view roommate profiles. If you are an existing member of the House Officers Association, or in incoming resident or fellow, please use the help button to request access. Please include your username and uniqname if you have one. I do not like weirdos. This is a nice paragraph about the room. Include a little about yourself, and anything else you'd like to say. If you do not have a place already, include a little bit about the type of place you would like to look for. Are you looking for someone that already has a place lined up, or are you willing to match up with someone, and look for a place together?